CEOs say it all the time: they have a responsibility to “maximize shareholder value.” Fund managers say it too: CEOs have a responsibility to maximize profits for shareholders. That’s the job of a corporation. Profits for whom? For shareholders, Friedman wrote. “Some called it slumpflation,” said Rick Wartzman of the Drucker Institute and author of the upcoming book “The End of Loyalty.” “’Inflump’ was another one that circulated. But most famously it was stagflation.’”This was a new idea that began to take root. Throughout the decade of the ’70s, the old postwar business model was crumbling under pressure from inflation and weak growth. The downturn exposed American companies as uncompetitive in an increasingly global environment. Friedman and his University of Chicago free-market colleagues argued that corporations were taking on too many “social responsibilities”: providing jobs, helping to fight pollution and reducing discrimination in society. In their eyes, the model was inefficient — and unfair to shareholders. “We saw enormous amounts of waste going on,” said economist Michael Jensen, a former University of Chicago student of Friedman’s now retired in Sarasota, Florida. Jensen went on to co-author the often-cited business paper. In “Theory of the Firm,” he and co-author William Meckling argued that corporate shareholders were shortchanged by corporate managers seeking perks. Gordon Gekko represented the real-life ideas of economist Mike Jensen: If you shape up executives, you shape up companies and shareholders win. Jensen went on to become a superstar professor at Harvard Business School where his ideas went mainstream. 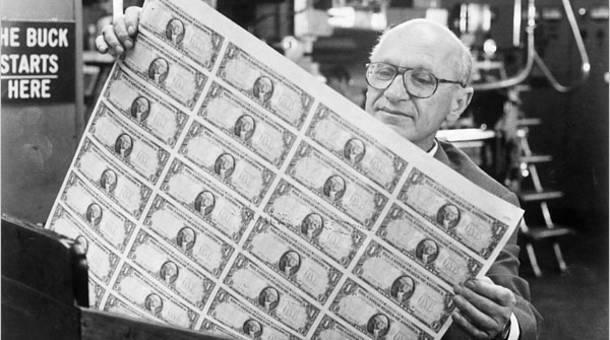 One Harvard MBA student at the time recalled how the Friedman/Jensen ideas gained currency. “The dominant and accepted understanding at the time, which continues, is that business is there to make a profit for shareholders — period,” said David Langstaff, who went on to become chief executive at national security firms Veridian Corp. and TASC. He’s chairman of the business and society advisory board of the Aspen Institute. So into the business playbook went three words: maximize shareholder value. Jensen may not have used those words, but to many that’s how his ideas were applied by a entire generation of business leaders. “There was an obsession with shareholder value maximization, as manifested in meeting your quarterly earnings so the analysts are all happy with you,” said Roger Martin, a former colleague of Jensen and director of the Martin Prosperity Institute at the University of Toronto. The approach indeed made Wall Street happy. The stock market soared twelvefold in the ’80s and ’90s. By one measure, for every dollar in profits, 80 cents went to shareholders through dividends and what are called share buybacks. Which brings us to the rub: A fast way to fast profits is cutting jobs and wages. To Wartzman of the Drucker Institute, the “corporate social contract” began to erode in the 1980s. Real wages flattened. Job security became more tenuous and pensions and healthcare benefits eroded. To Wartzman and many others, a relevant case study is General Electric in the 1980s, run by an old college hockey captain named Jack Welch. Back in the 1950s, GE – like many companies at the time — made explicit the primacy of workers over shareholders. Under Welch, the firm downsized more than 100,000 workers in five years, one strategy being to dump the lowest 10 percent of performers. Fair or not, Welch became the face of maximizing shareholder value — the winners and the losers. In his two decades at the helm, GE met Wall Street expectations almost every single quarter. A $14 billion company became a more than $400 billion behemoth. Welch himself made nearly a billion dollars. Other executives in the 1980s followed suit. If they succeeded in boosting the stock price, executives stood to profit personally from generous stock options. If they failed, they could lose their jobs. In the mid-1980s, testy shareholders with access to junk bond financing started buying big companies and firing underperforming executives. At one point, nearly a third of the Fortune 500 firms were acquired. Over the years, these aggressive shareholders and practices took on different names: corporate raiders, leveraged buyouts, activist investors. Perhaps the most famous is Carl Icahn. By then, the notion of shareholders first had become gospel. The question of whether the law actually requires putting shareholders first has been subject to hot debate. “There is a widespread and completely erroneous belief out there that there is some sort of legal duty that corporate managers have to ‘maximize profits’ or ‘maximize shareholder value,’” said Cornell law professor Lynn Stout, author of “The Shareholder Value Myth.” In Stout’s view, the misplaced assumption comes from an old case that cites stockholders’ interests. That case did not set legal precedent, she said, compared to a more recent case. By contrast, Delaware Chancery Court Judge Leo Strine, now chief justice of the state Supreme Court, wrote in the Wake Forest Law Review: “Corporate law requires directors, as a matter of their duty of loyalty, to pursue a good faith strategy to maximize profits for the stockholders.” The debate goes on. Still, Stout argues that maximizing shareholder value has become the dominant corporate practice. In her view, corporations’ efforts to maximize profits led directly to scandals including Enron, the BP oil spill and the 2007-08 financial crisis. Which brings us back to the man widely acclaimed as the intellectual father: Mike Jensen. Still, maximizing shareholder value remains in fashion. In one study of S&P 500 companies, the share of profits going to stockholders has increased from 50 percent in the early ’80s to 86 percent in 2013. That leaves a shrinking pool of money to invest in businesses themselves. But companies have not always seen themselves as serving stockholders first. Researchers at General Electric in 1969.